Sam M. submitted this photo and caption. Looking considerably paler than the last time we saw each other in Indy, this past fall I (on the left) met my good friend Kevin for a quick meeting during the third quarter of the football game that pitted our respective schools' teams against each other. 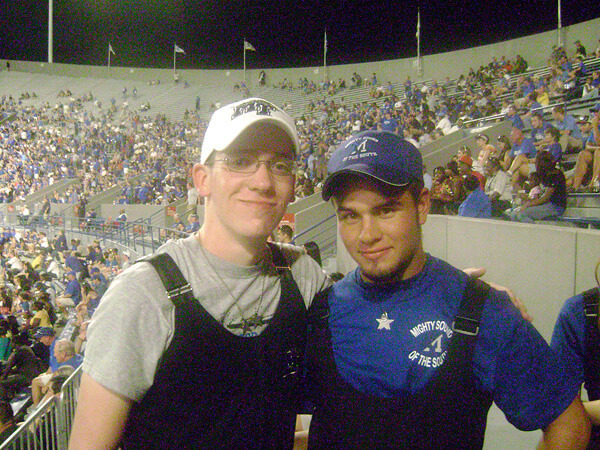 Despite Middle Tennessee's loss, Kevin and I are still friends, as we are both charter members of the great drum corps that hails from Nashville, Music City.